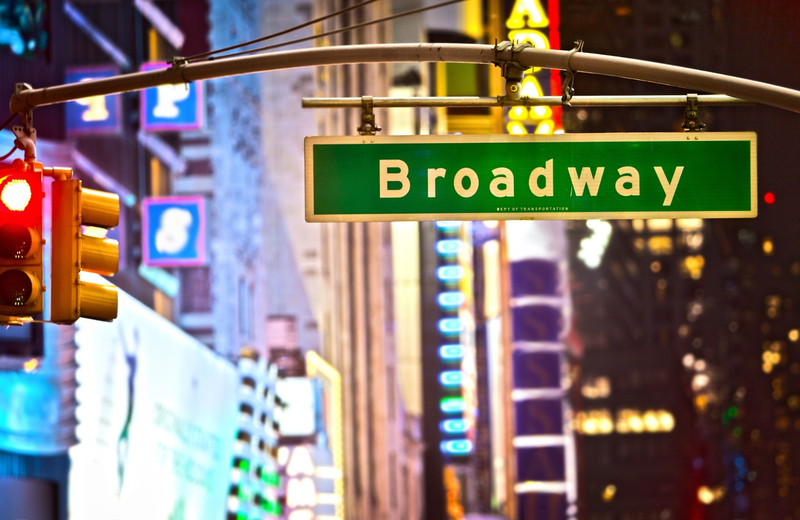 We’ll be taking a look at some stand-out options from the list, and giving you all the info you’ll need before you head out to the theatre for a lovely, New York winter night on the town. According to NYCGO, there are two big trends sweeping the stage at the moment: stage adaptations of great films from past decades, and all-new, original stories that encapsulate facets of the human experience. We’re fans of both, and sure you will be to, so let’s explore some of the picks that will be generating plenty of buzz this season. Mike Birbiglia is name you may well have heard before. The comedian and actor has paid his dues as a talented stand-up performer, on programs like This American Life, on shows like Orange Is the New Black, and films such as Cedar Rapids and Trainwreck. His newest stage production, titled The New One, is currently on Entertainment Weekly’s Top Ten Shows of 2018, and there are still a few weeks left to catch it at the Cort Theatre, up until January 20th. Based on the 1976 film of the same name, and starring Bryan Cranston in the lead role of anchorman Howard Beale, this adaptation tells the story of “a man on the verge of a breakdown who ends up unraveling on live TV.” Network is a story you might already know, but this stage telling by Ivo Van Hove (of The Crucible fame) brings it to life in a way you’ll have to see to believe. You might recall Choir Boy from its off-Broadway run in 2013. Writer Tarell Alvin McCraney was still a “fresh” talent at that point, but now that a few years have passed and his name is more widely recognizable (largely due to his Oscar for the screenplay rendition of Moonlight), there’s no doubting his chops. Choir Boy is an excellent display of McCraney’s storytelling skills, recounting a dramatic tale of one young man’s ascent to prominence within a legendary gospel choir as he navigates the challenges of the storied preparatory school he attends. Choir Boy will be presented at the Samuel J. Friedman Theatre on West 47th Street, and will be opening Tuesday, January 8th. The play, another NYT Critic’s Pick, will run until February 17th, and features a dedicated cast under the direction of Trip Cullman. If you’re a fan of drama (and the occasional trip to church) this is one you can’t miss. What do you get when you take a YA novel and adapt it for the stage? Be More Chill is the answer, and this story from late novelist Ned Vizzini explores themes we’ve all pondered: teen anxiety, how to cope, and what would happen if a young man were offered a chance to cure their social ills at the potential cost of their true self. Debuting February 13th at the Lyceum Theatre on West 45th Street, this production has been hailed as smart, funny, and having the potential to become a modern classic that will reshape the future of the stage, so if you want to check out this groundbreaking experience for yourself, be sure to score yourself some tickets and see it live. You say you want to see a modern take on a classic Shakespearean drama? Gary: A Sequel to Titus Andronicus is what you’re after, and this comedy by Taylor Mac, directed by George C. Wolfe, and starring Nathan Lane and Andrea Martin, delivers an unusual take on the follow up to years of bloody carnage and the decline of the Roman Empire. Debuting at the Booth Theatre and West 45th Street, previews for this play begin March 5th, and the performance will officially open on April 11th for a 22-week run. It’s quite unlike anything you’ve seen before, and if quirky comedies are your thing, you’ll be doing yourself a favor by checking this one out soon. People from all over cite the abundance of nightlife and culture as a primary draw for living in NYC, and when you’re a member of stellar communities like Renoir House, you’ll feel an even greater connection to the splendors of the city. This is the pinnacle of Manhattan living, a rental experience like no other that puts you in prime position to enjoy the best of enriching events like a night out at the theatre, so be sure to check out everything Renoir House has to offer and make this your choice for life on the Upper East Side.